Special Containment Procedures: Personnel assigned to SCP-XXXX must display a cognitive resistance of 4 or higher. SCP-XXXX should be played once daily to ensure comfort, and by extension, continued collaboration with the Foundation. SCP-XXXX requires an electrical connection at all times. Description: SCP-XXXX is a synthetic bioelectric computer composed of an arcade cabinet and associated non-anomalous components. Components consist of living human organs including of a heart, pair of lungs, and brain. These are attached to anomalous components used to connect the biomass to the rest of the computational system.1 SCP-XXXX has since been repaired by SCP technicians to facilitate study. The system harvests processing power from the brain of the biomass, and powers the heart. As a result, the game running within the object contains graphics-intensive 3D vector elements typically impossible to reproduce using systems of extant at the presumed time of release. Gameplay consists of a large flat terrain consisting of an expansive green grid. Populating the terrain are humanoid entities with firearms. Shooting them increases the player's score and getting shot reduces the player's life meter. When the player's life meter is empty, the level resets. Players start with 5 lives, but can collect more during playtime; the game ends when all lives are exhausted. Notable terrain features consist of large, thin towers, cities, forests, various animals, and several examples of pairs of vehicles engaging in [DATA EXPUNGED]. Due to the random nature of each play session, it is believed that the game is generated from the subconsciousness of the biomass. The lungs of the biomass are connected to the coin slot; over time the mechanical system inflating and deflating the lungs will slow if quarters are not inserted. It is estimated that the biomass contained within SCP-XXXX will perish if 50 cents2 are not inserted weekly. Continue to play the machine, even to the point of exhausting all but the most essential funds. 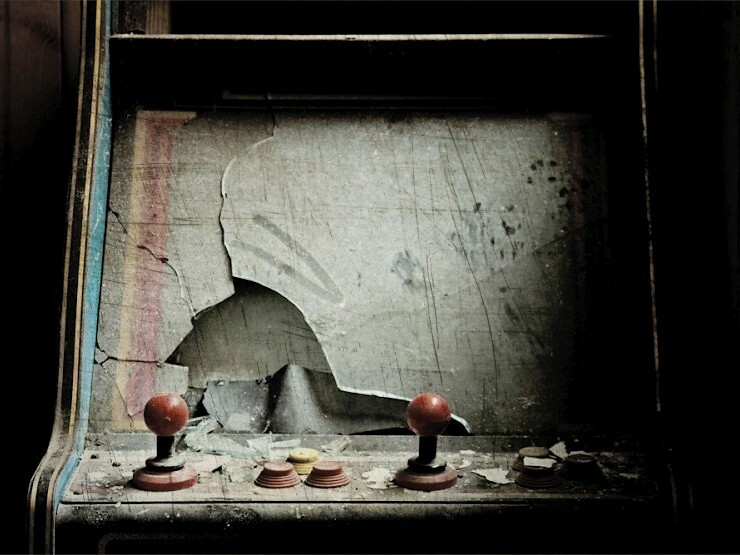 SCP-XXXX was discovered on 12/25/88 through rumors of a haunted arcade cabinet at █████, located in ████████, Missouri. Addendum: On 12/28/88 it was discovered that SCP-XXXX was capable of conversing with staff via editing of level names and receiving information in the player name left for high scores, both limiting character count to 20. Using this, Foundation Researcher Gary ███████ would leave a message in the high score input and SCP-XXXX would respond by changing the name of the upcoming level. | denotes dialogue from SCP-XXXX. - denotes dialogue from Foundation staff. 1. Said system has sustained considerable damage, yet SCP-XXXX remains functional. 2. The cost of one play session. 3. In specific. This effect does not extend to modern day Russia.